Dr. Titilayo Shodiya is currently a Program Manager with the National Voluntary Lab Accreditation Program (NVLAP) at The National Institute of Standards and Technology (NIST) for Calibration Laboratories in Gaithersburg, MD. She has been working at NIST since January 2017. In this position, she accredits calibration labs internationally to ISO/IEC 17025:2017 and coordinates proficiency tests to ensure the quality of products and services to support the mission of NIST and the United States Department of Commerce. Before joining the NVLAP team in January 2017, Titi was a Post-Doctoral Research Fellow at the University of Michigan, Ann Arbor. She started her Post-Doc in the Chemistry department where she worked on epitaxial thin film growth using electrochemistry, funded by the Department of Defense and Dow Chemical. In 2016, she started working at the University of Michigan’s Energy Institute (UMEI) in the Battery Lab as a Post-Doc/Characterization Specialist. Here she worked with external industry partners to fabricate and characterize battery cells using with industry-scale devices. As a part of her duties, she oversaw the characterization facilities. Titi received her Bachelor’s degree in Materials Science and Engineering with a concentration in Electronic and Photonic Materials and a minor in Mathematics from The Pennsylvania State University in 2010. 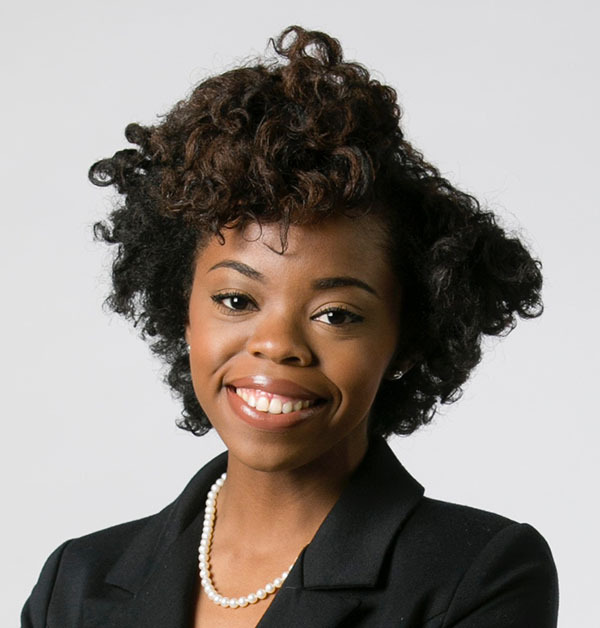 She received a Master’s in Electrical and Computer Engineering in 2012 and a Ph.D. in Mechanical Engineering and Materials Science in 2015 from Duke University. Throughout her career, Titi has been an active mentor and started initiatives to encourage women and underrepresented minorities to pursue STEM degrees and careers.